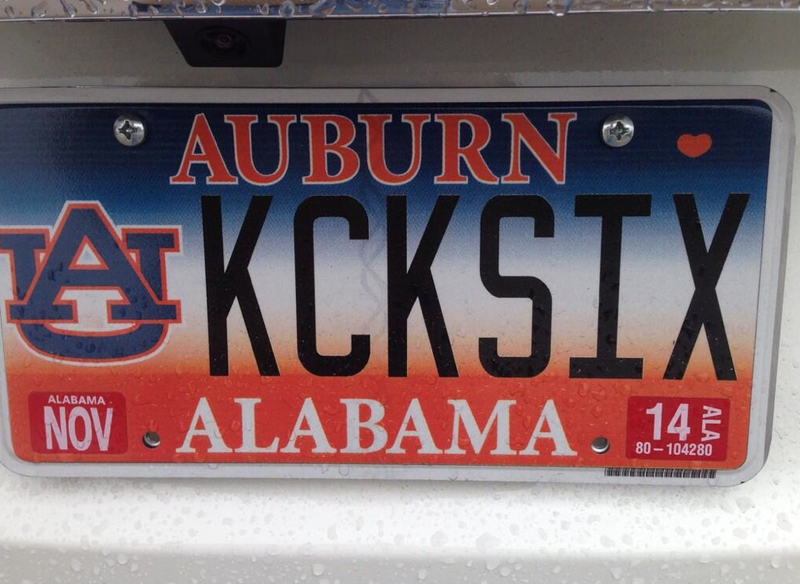 [UPDATED] How many Iron Bowl-referencing Kick Six license plates are out there? 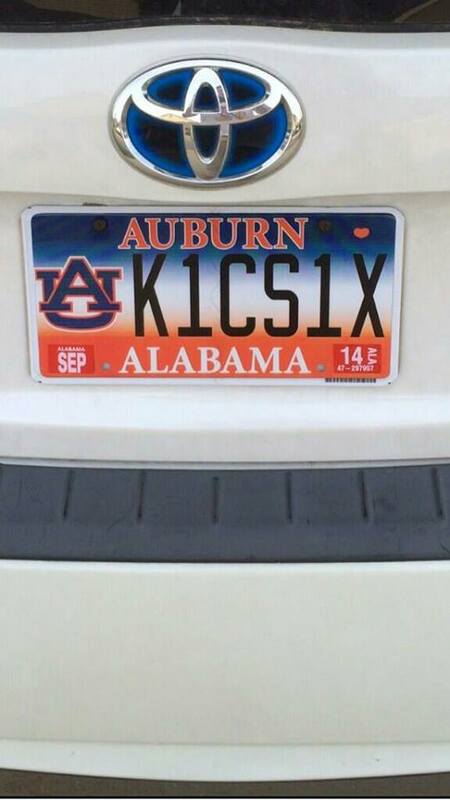 Auburn fans were applying for Iron Bowl victory vanity license plates just days after the earthquake, two (at the most) to be exact. In the immediate afterglow, the score was the obvious choice. 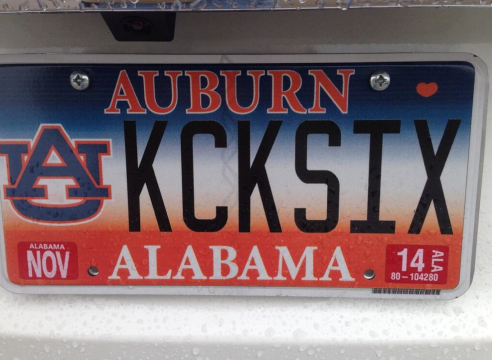 But the jab du jour seems to be alphanumeric variations of Kick Six, the pet name for the game that won out over other catchphrases like Kick, Bama, Kick. 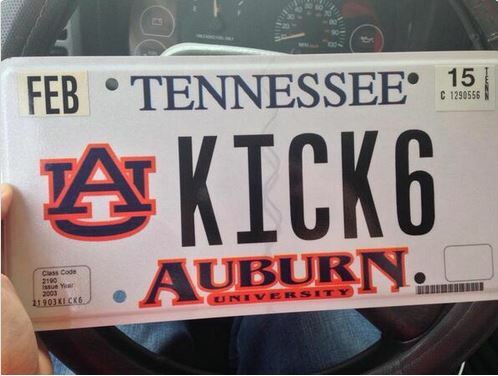 In February, a KICK6 plate from Tennessee was making the interounds. 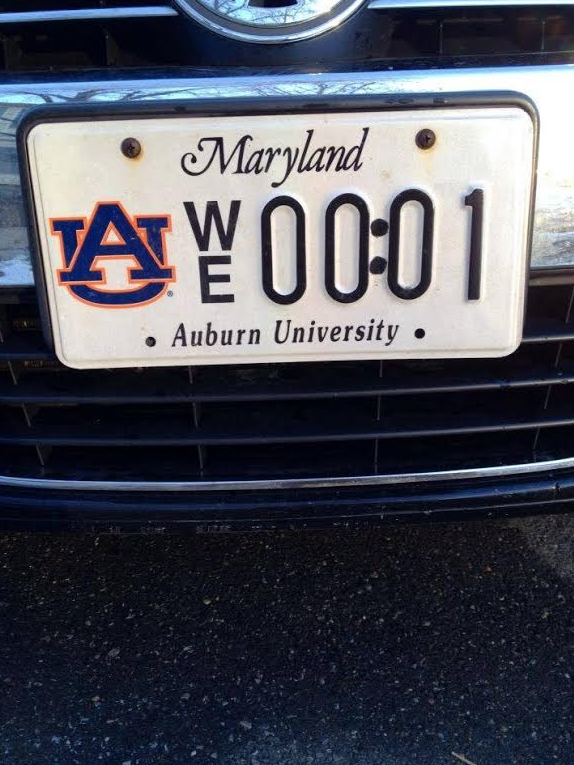 Even if the number stands at just three, it seems likely that no other single play in college football or maybe even sports history entire has been memorialized via vanity tag more than Chris Davis’ 109 touchdown return of whatshisname’s missed field goal. Oh wait—make that four. Know of another one? Let us know at [email protected] How many more are out there? How many more are possible? And will Punt, Bama, Punt’s record of two namesake restaurants ever be broken? UPDATE: That didn’t take long. 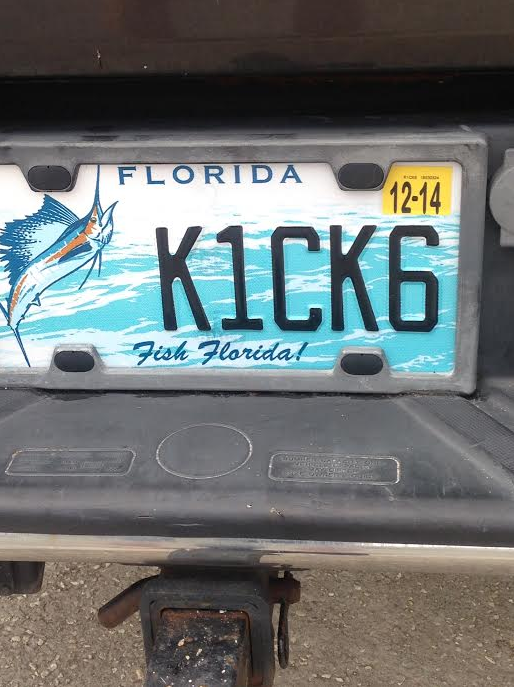 Auburn freshman Kasey Creel’s dad is kickin’ six down in Florida. 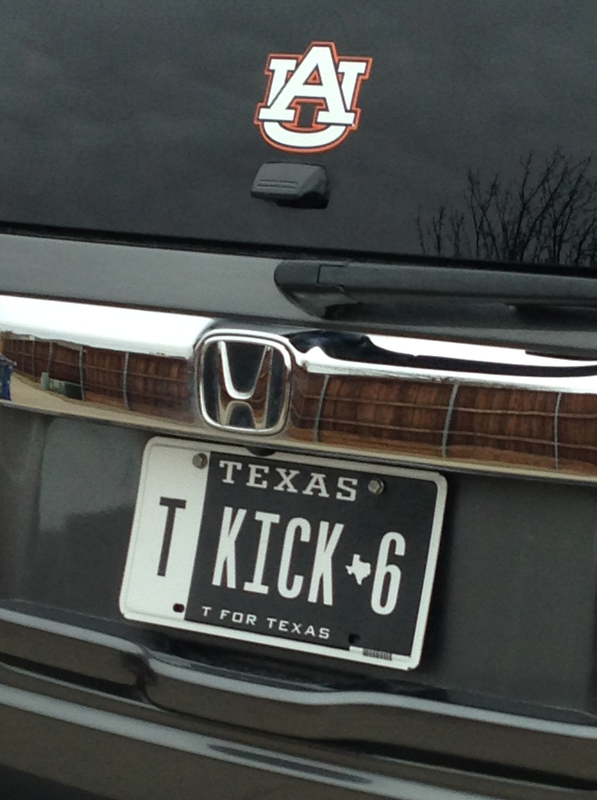 UPDATE: T for Texas, via Eric and Laura Bruner (AU ’94). That’s five. [UPDATE] Wouldn’t you know it, Illinois resident Jonathan Sargent just got his tags today. UPDATE: Another Auburn one, from William Sanford. And another… from Mike Robinson. Almost taunting. Help us continue to document this unprecedented phenomenon. Teamwork makes the dream work. 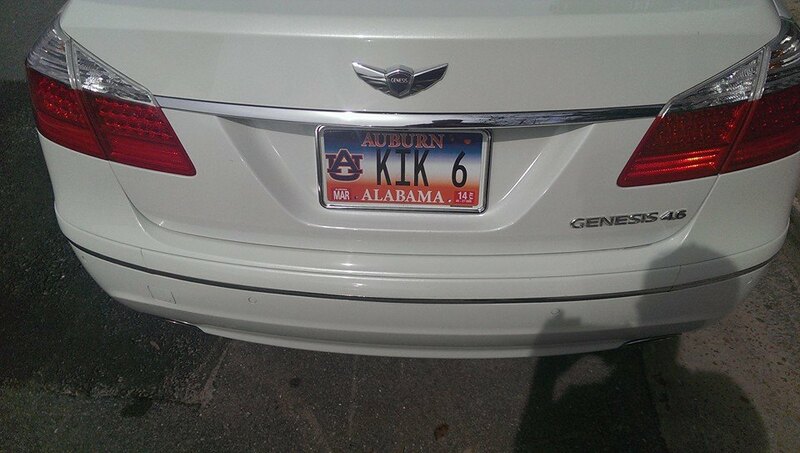 Related: Auburn “BEATS” Alabama license plate slips past DMV censors. I’m in TX, and recently tried to get an AU logo plate (believe it or not TX has them), but I guess they are only for vanity plates. 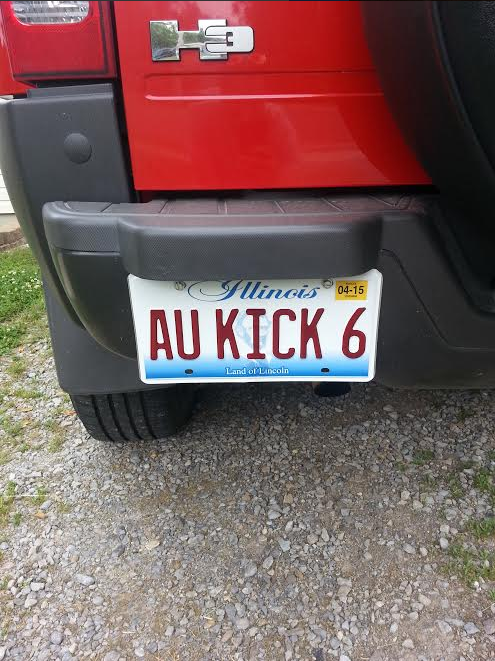 So I put in many versions of Kick6 and 1Sec and they were all taken! So I tried GusBus or WarEgl, and yep, also taken! 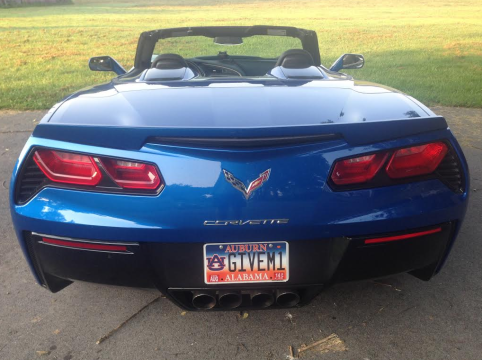 I hate that Tennessee’s AU tags are better looking than Alabama’s. We need to do away with the ridiculous airbrushed look.